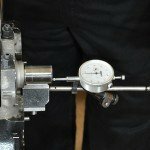 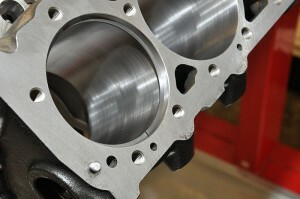 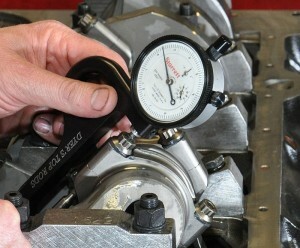 Measurement is at the heart of engine building. 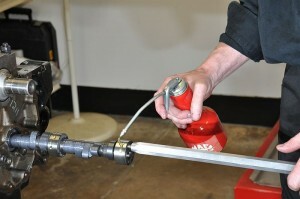 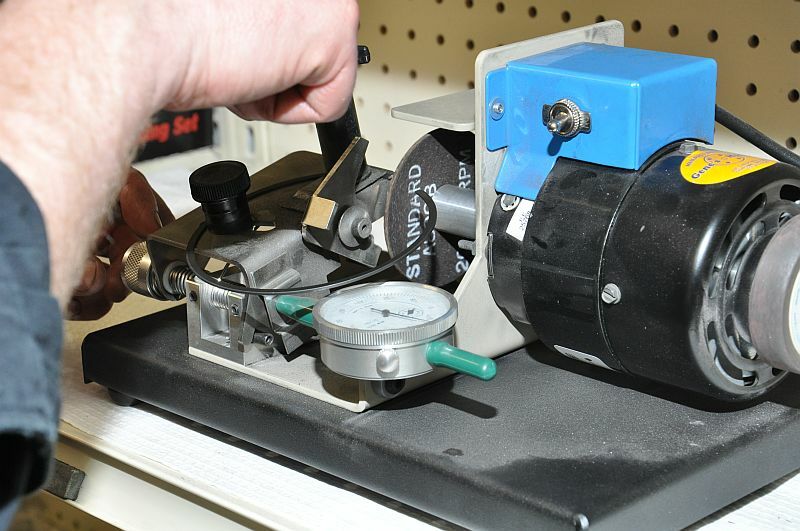 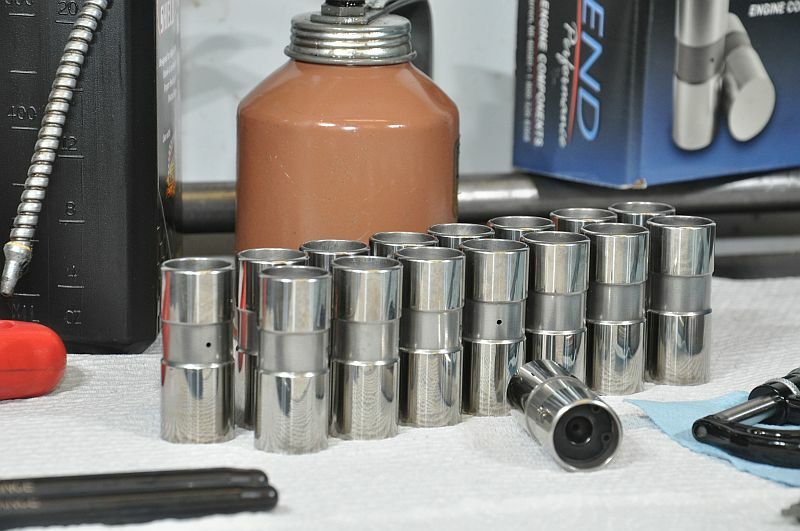 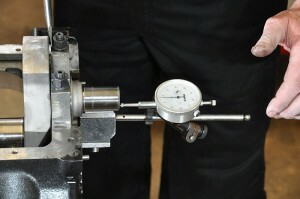 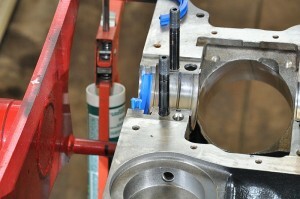 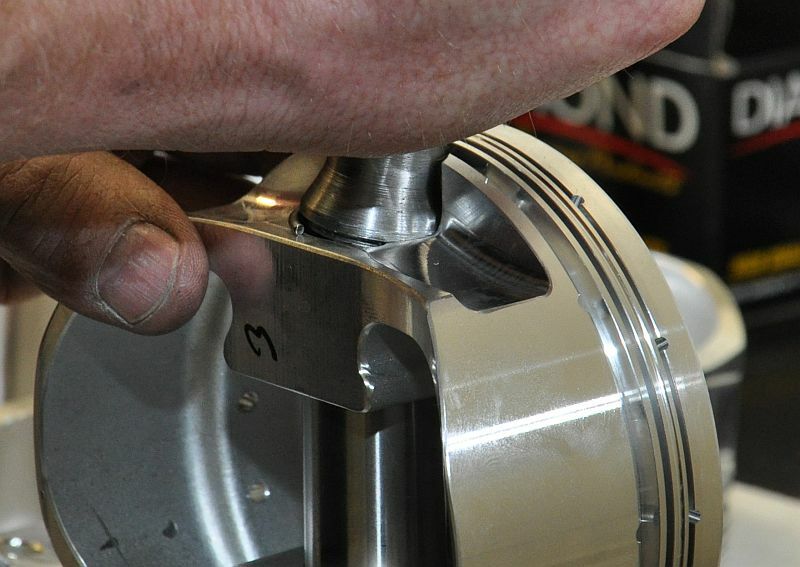 Here a Sunnen gauge is set to measure the diameter of the piston pin bores and of the connecting rod bushings to one ten-thousandth of an inch (0.0001in). 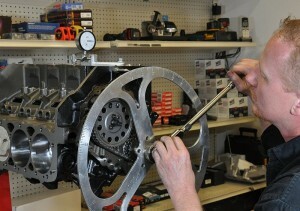 Kevin Stoa Engine Build part 2 of 3. 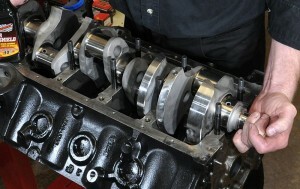 Probably the biggest fallacy about engine power output is the number that reveals its peak power. 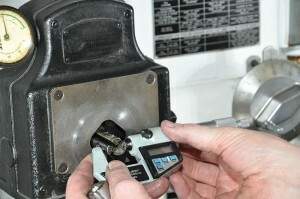 But it’s a deceit perpetuated by most of us. We run our finger down the page looking for it. 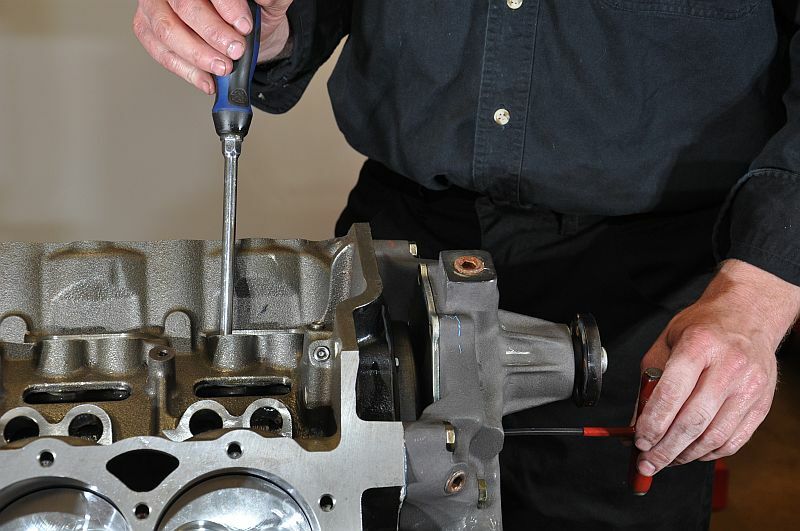 The engine builder pursues it because often his job rests upon it, the car owner requires it, and the crew chief desires it—even magazine titles splash it across their covers, using it to entice greater magazine sales. The result is that the racer shopping for an engine almost always inquires of its peak power and the circle is complete: everyone engages in racing dynos. In the second part of this series Stoa demonstrates his technique for achieving instant throttle response and for building a power advantage with the robustness and reliability intended for a full season’s racing. 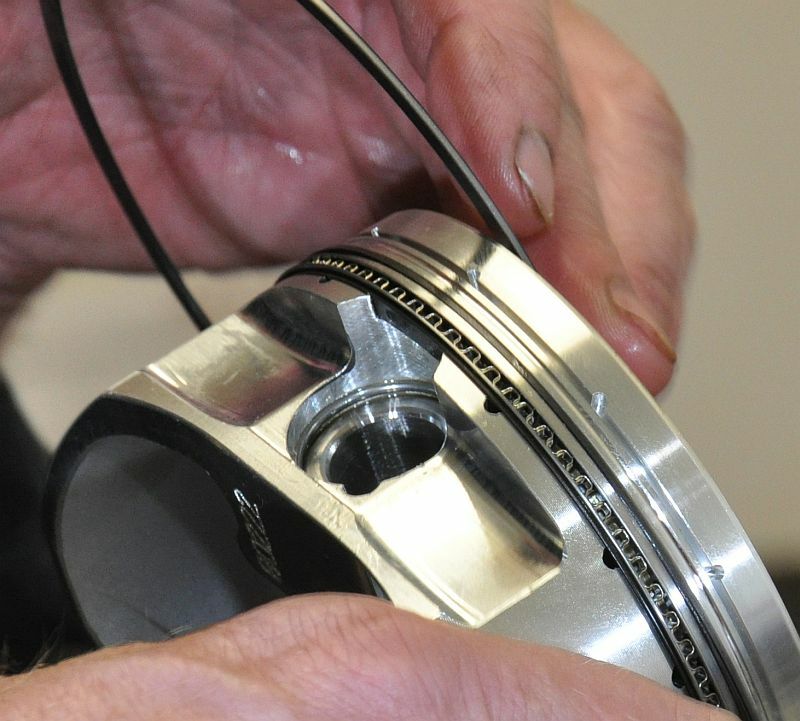 Here he concentrates on the assembly of his 420cu-in Dart block and the care required when installing the pistons and rotating assembly. 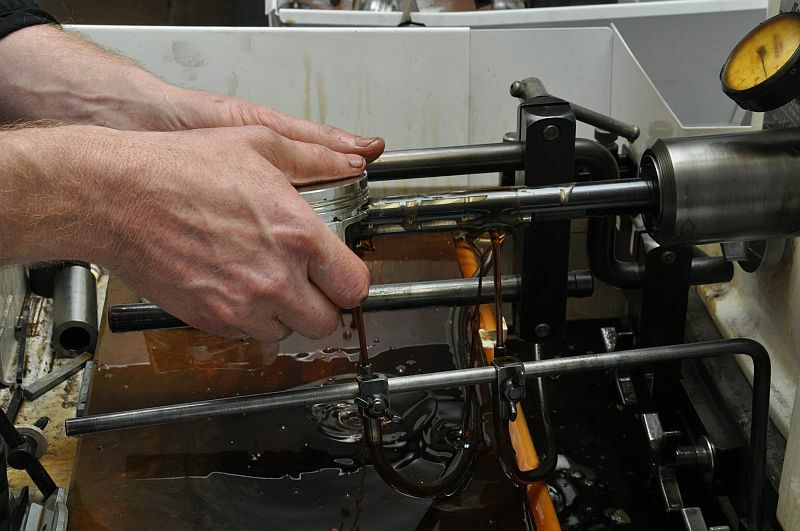 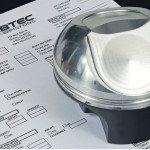 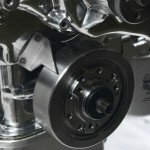 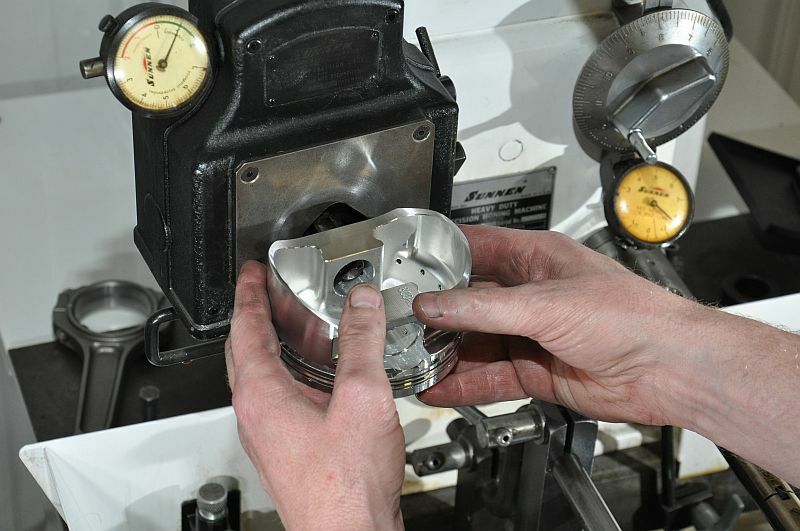 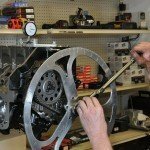 Because race engine technology advances so rapidly, today’s astute piston maker must establish close working relations with the piston pin and ring makers. 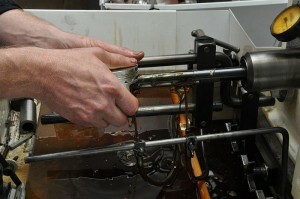 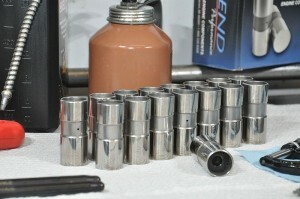 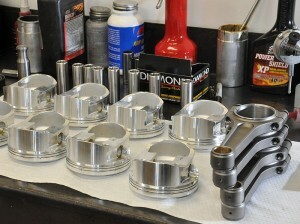 Piston ring groove tolerances, for example, are set by the ring maker. 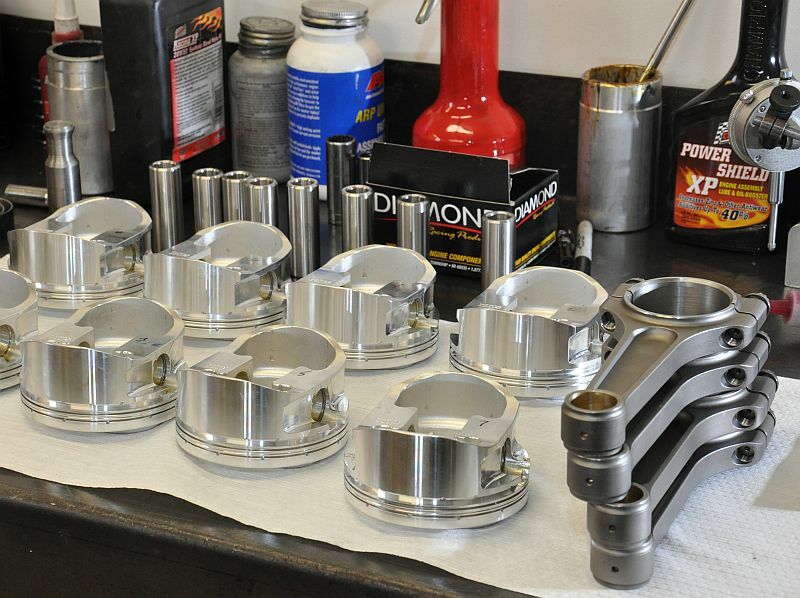 If the rings vary in thickness by, say, seven ten-thousandths (0.0007in), the piston maker must prepare ring grooves to accommodate this dimension plus provide an additional few tenths for working clearance. 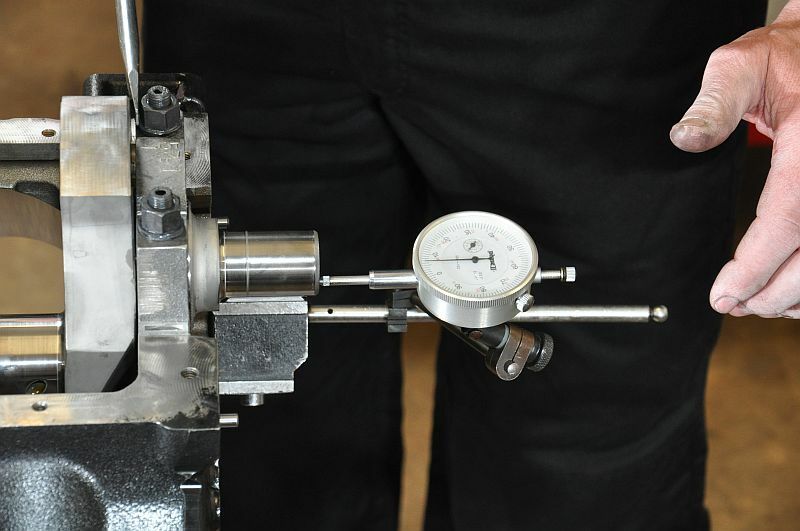 On the other hand if the fluctuations in ring thickness are reduced to one ten-thousandths (0.0001in) and those rings are installed in the seven ten-thousandths ring grooves, the engine would likely sustain a power loss of 40-50hp.